Something that I really love about the world of video games is the fact that new genres form every day. The venerable platformers, shoot’em ups, and beat’em ups have been joined by evolutions and derivatives like Metroidvania-types or sandbox games. RotoSchutzen, made by Owen Deery of Bytown Lumberjack fame, falls into a one of these fancy new genres. Let’s see how it was. The visuals in RotoSchutzen are refreshingly crisp. Whereas XBLIG games can often be excused for having low resolution or retro graphics, this game went with sharp, vector-style graphics, which frequent readers will know are a sure way into my heart. 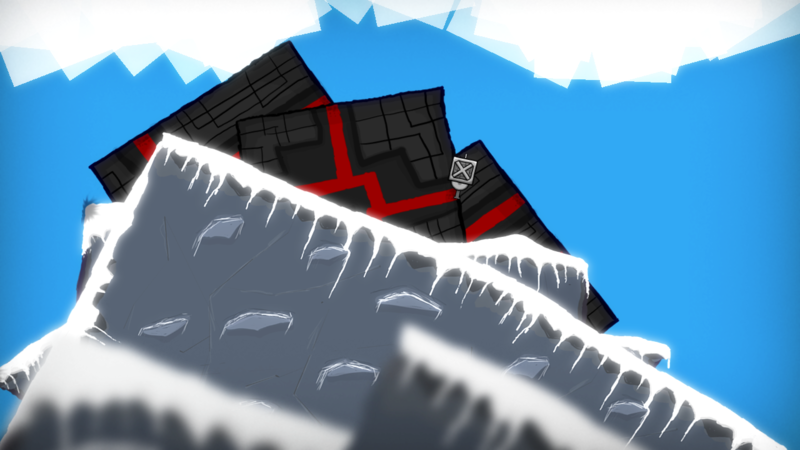 Not only that, but there are some neat effects applied, from depth of field and parallax to nifty lighting tricks. I’m inclined to call them volumetric lighting effects, but since this is in 2D, I guess they would be… areametric? I particularly liked the respawn animation, which made it look like a little window to nowhere was opening to let you back in. 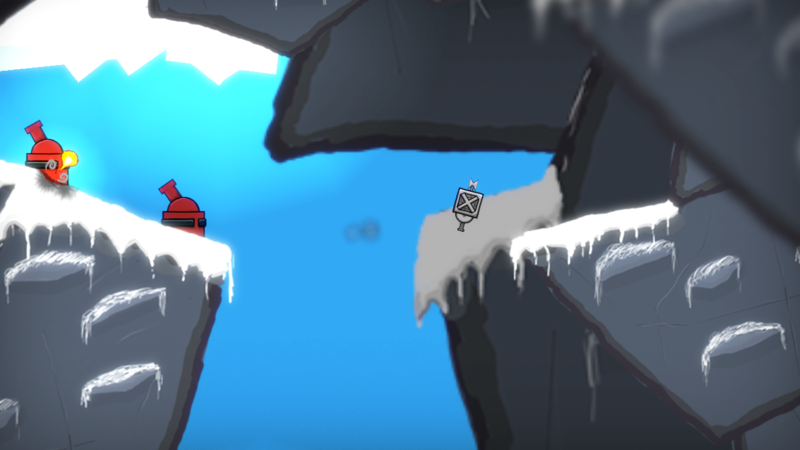 While there wasn’t much visual variety in the enemies, the environments varied reasonably well. 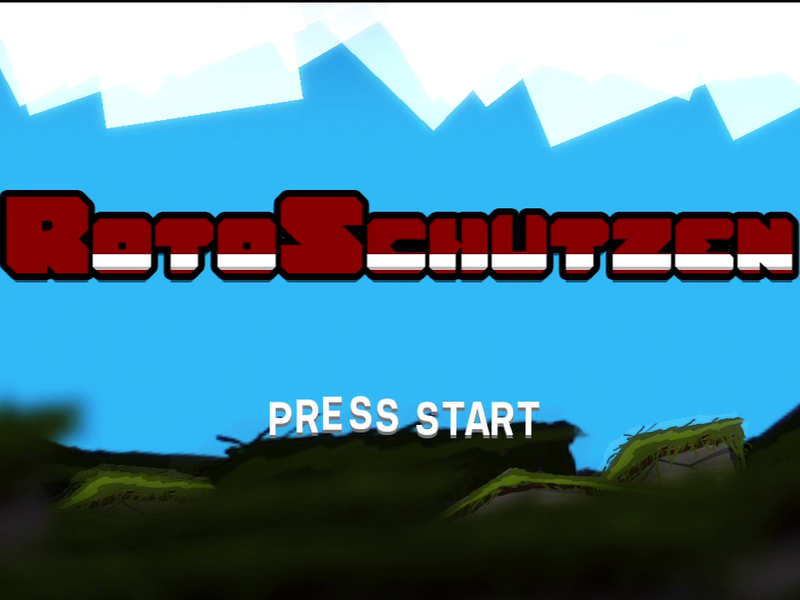 RotoSchutzen is what they call a 2D shooter. Remember Insanely Twisted Shadow Planet? This game plays a bit like an early play test of that game. 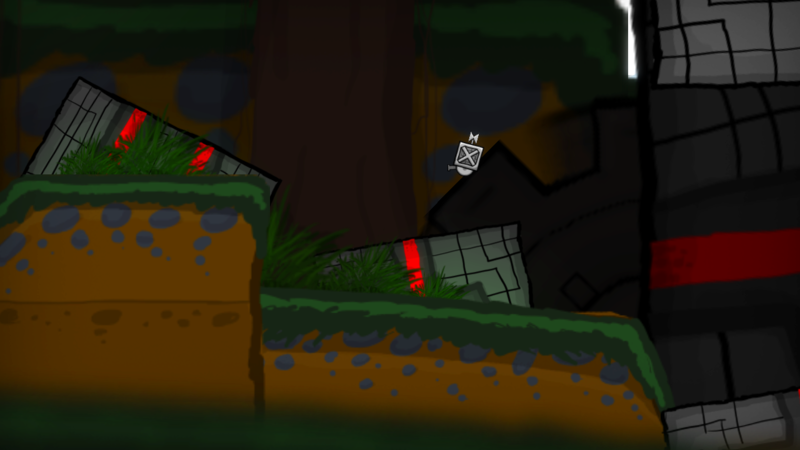 One stick moves you freely around the levels, the other aims and fires your only weapon, a blaster that launches what are either very slow bullets or very weak missiles. One aspect of the game that makes sense visually but was ultimately irritating to me was the limited range of rotation for your little gun. 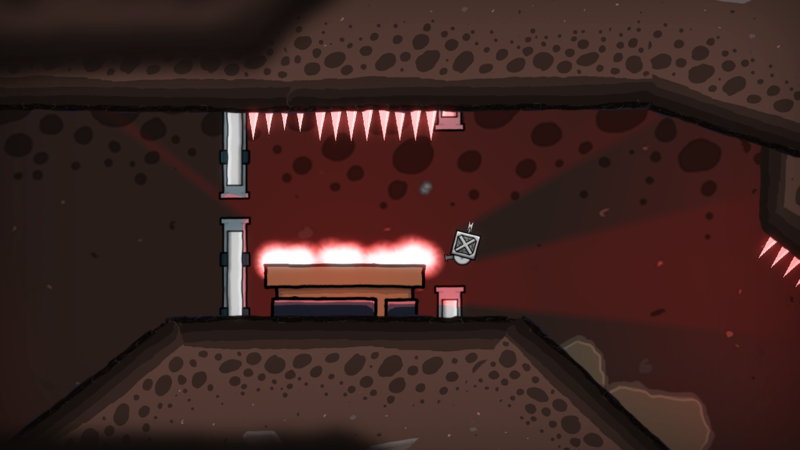 Basically, you can fire in a 180-degree arc beneath your little satellite. That’s all well and good, you’ve got a little rotor blade on the top, so you couldn’t reasonably be expected to aim up. The thing is, here and there they put enemies more or less directly above you. Sure, this could be a way of testing your close quarters piloting skills, but mostly it was just a way of making me frustrated. The gameplay isn’t what I’d call deep, either. 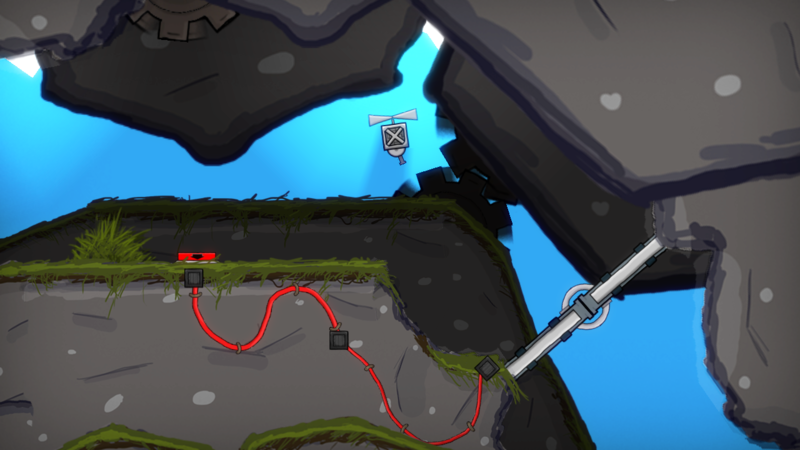 You control your little shooty-probe through one long, uninterrupted network of tunnels in search of a big red button. 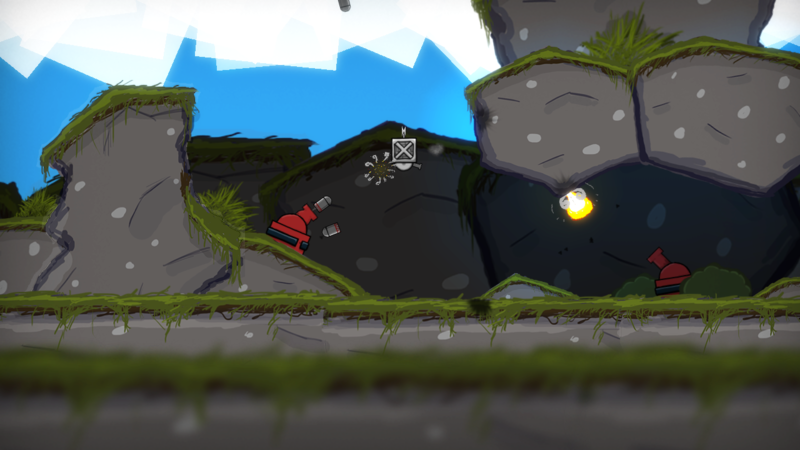 Blocking your way are little turrets, bigger turrets, mines, and little red buttons that open doors. Dying knocks you back to an unmarked checkpoint. From beginning to end it took about an hour to beat. As far as I can tell, the residents of the planet were trying to kill steam with this contraption. I will say this about the game, though; It ran well, with nary a bug o be seen throughout the entire play through. Not only that, but there were some fun naunces added in. 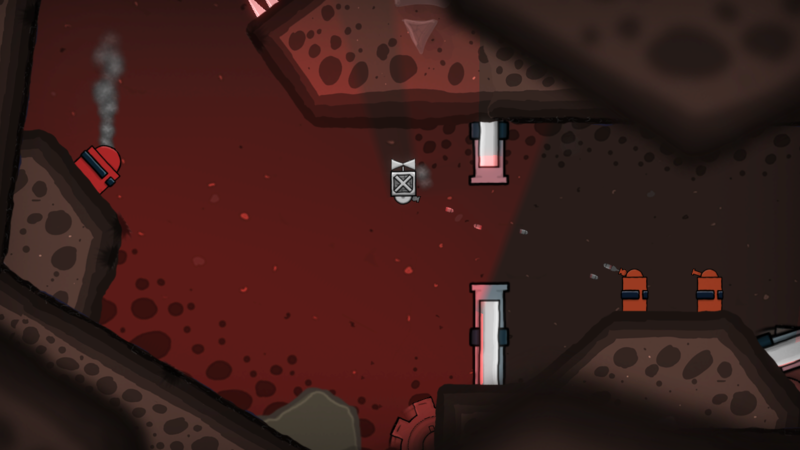 Flying frontward or backward causes your probe to lean in that direction, and as such, allows your gun to fire just a touch higher up in the other direction. 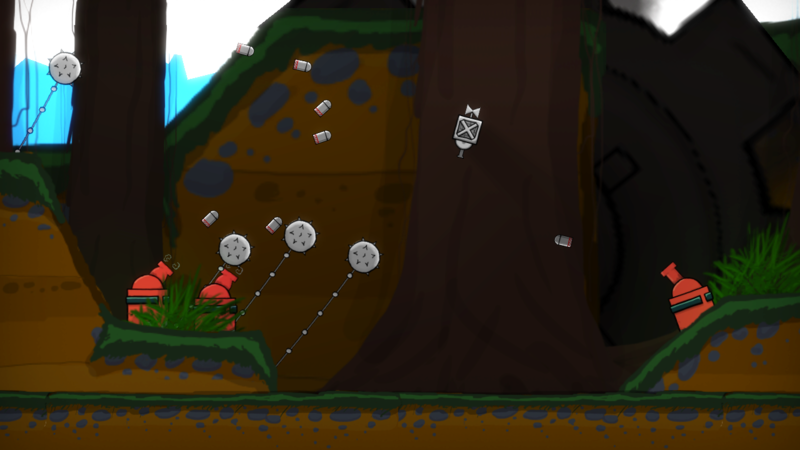 Thus, with some creative rocking, you could finesse some bullets into a higher trajectory. All in all, it is really a decent little engine, and I could certainly see it being used again for a longer and more complex game in the future. The music didn’t make a strong impression on me, but then, music in a game seldom does. It was present, but not irritating, which is more or less what I look for in a soundtrack. Near as I can figure, the entirety of the story consists of a space craft crashing on the surface of a planet and deploying a weaponized probe to press a large red button. Not exactly award winning, but it is enough to justify all of the flying and shooting. There was nothing wrong with the actual functionality of the game, which for an XBLIG title tends to be a very rare and highly desirable trait. It is a solid engine, and the graphics were attractive and effectively presented. I would love to see something with this same engine come along and add in a few more of the Insanely Twisted Shadow Planet features. Weapon upgrades, more complex enemies, etc. It is a good start, and an excellent proof of concept, but a little thin as a stand alone game. 7.0 / 10: A well made indie game with a decent visuals but lacking in gameplay depth.